Situated alongside the Savoy Hotel, the building of the current theatre with its Art Deco auditorium, was financed by Richard d'Oyly Carte with the considerable profits from Gilbert and Sullivan's operettas. 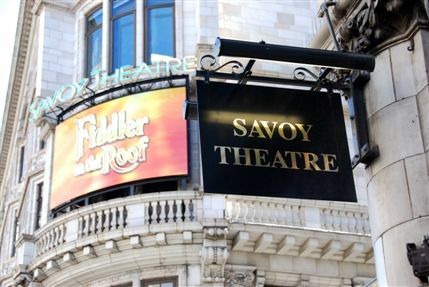 The original Savoy Theatre was the first public building in the world to be lit by electricity and the traffic quirk of Savoy Court (the only road in England where cars are required to drive on the right) was initially instigated so that visitors to the theatre could climb straight into their carriages without troubling themselves to cross the street. The theatre was home to Raymond Gubbay's ill-fated 'Savoy Opera' and the slightly more successful stage reworking of Steinbeck's 'Of Mice and Men'.